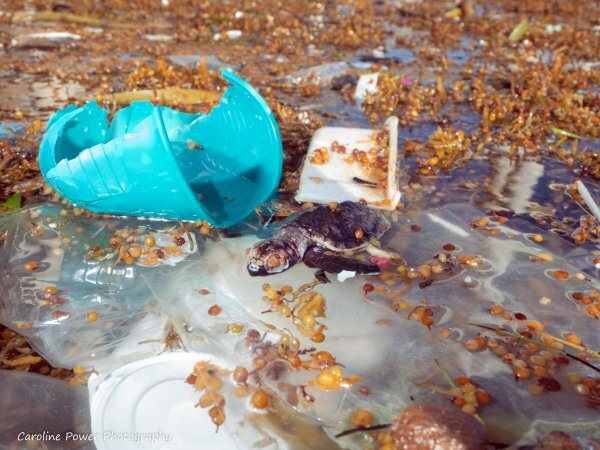 Almost one year to the day that my “Sea of Plastic” post went viral, I was called to assist a rescue of baby sea turtles washing ashore in a mat of Sargassum seaweed. 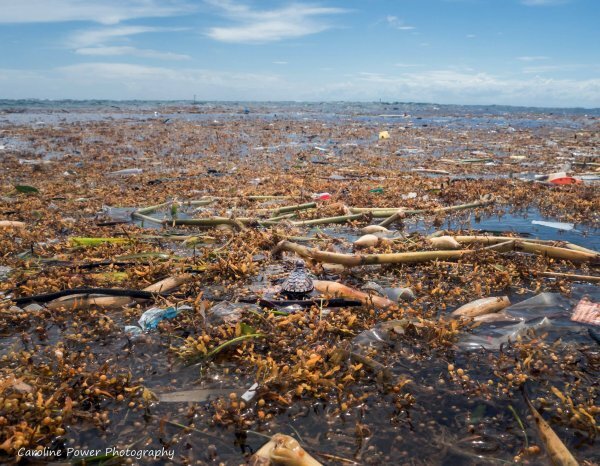 Sargassum is a pelagic seaweed that drifts on ocean currents in tropical and temperate seas. 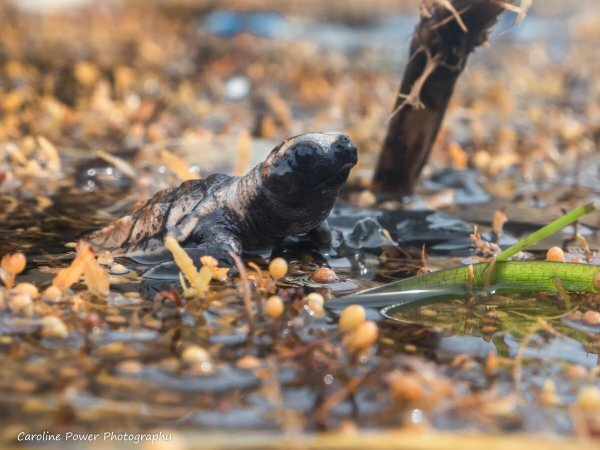 It is a crucial habitat that provides food and shelter to more than 240 species of fish, crustaceans, sea birds, commercially important species such as tuna, and even sea turtles. 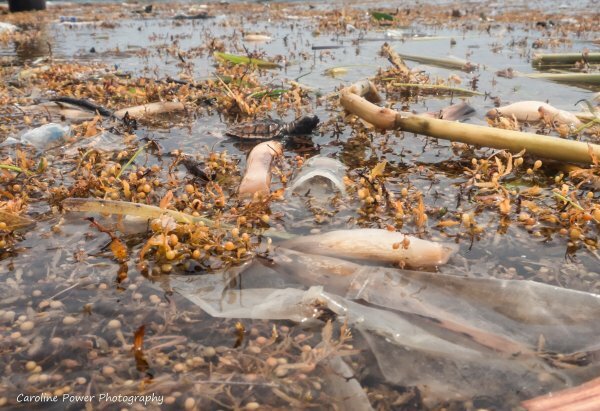 In the open ocean, sargassum is an oasis. When it washes ashore, it can trap the animals that call it home, burying them alive. When I arrived, I was horrified. 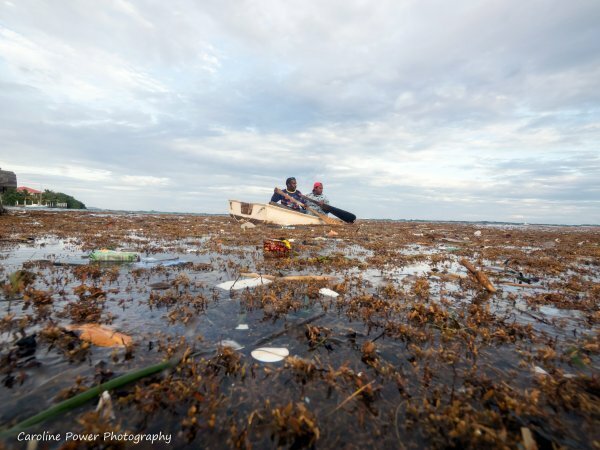 The seaweed was filled with plastic, much of it from Guatemala and Honduras. It was easy to identify the well known products used in this region. Coke bottles, Pepsi labels, single use sachets of shampoo, Clorox bottles, Aguazul water bags, crocs children’s toy, and so many plastic bags. Bags of every shape and color; not shopping bags but ones used for packaging consumer goods. Up to 40% of the global plastic production is used in packaging. 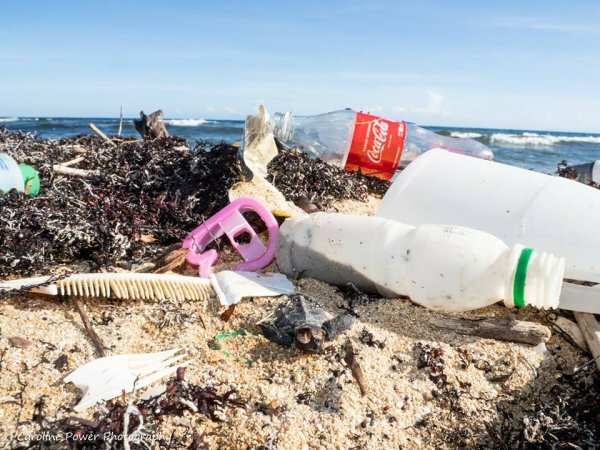 Coca-Cola, PepsiCo., Unilever, Nestlé, and Procter and Gamble are responsible for much of the plastic packaging found in our oceans. 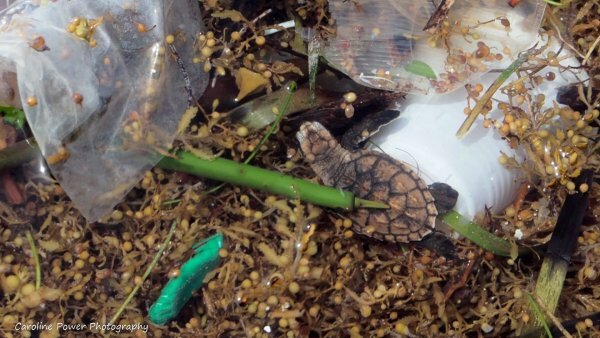 In total, volunteers saved 18 recently hatched sea turtles from the plastic. They were taken to a local rescue center where they are all alive and well and waiting to be released. Sadly, not all of the turtles found were alive. A necropsy was performed on one of the dead sea turtles that washed ashore. Eight of the thirteen objects found in its digestive tract were plastic. The turtle was less than two weeks old. 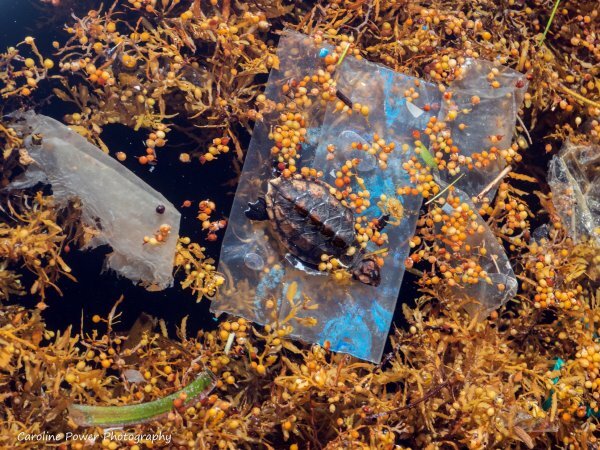 Let us not allow these turtles to have died in vain, to allow this plastic disease to continue. It is a global problem that requires a global solution. Each and every one of us needs to cut out not just single use plastics but all avoidable plastic from our lives. 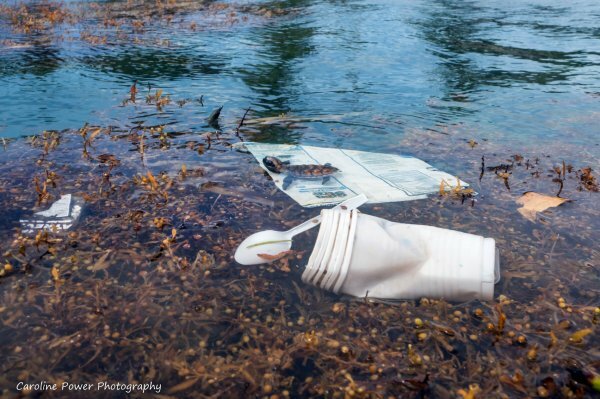 We need to push corporations to move away from plastic packaging. Most of all, we need to care more about our environment and the creatures that share this planet. This guy was found buried on the shore. Thanks Coca-Cola for contributing so much plastic to our oceans. Rescuers looking for turtles before they become trapped on shore. The plastic leftovers of someone’s lunch. A sea of plastic awaits this little guy. This little guy was literally walking across the plastic. All species of sea turtles are endangered. Fewer than 1 in 1000 will reach adulthood. They do not need any additional threats. This is supposed to be a safe haven for juvenile turtles; an oasis of food and shelter. 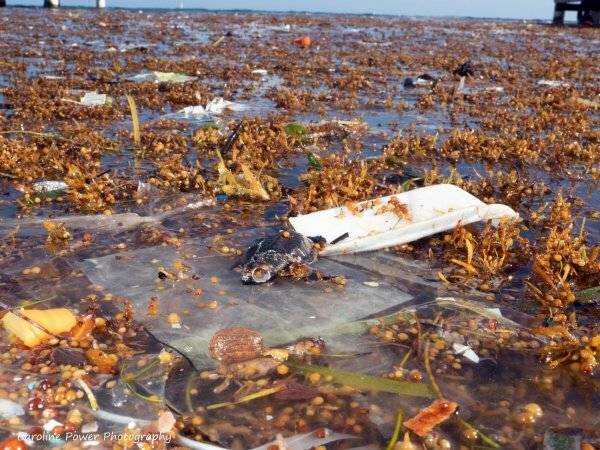 Instead, it has become a floating trash dump. 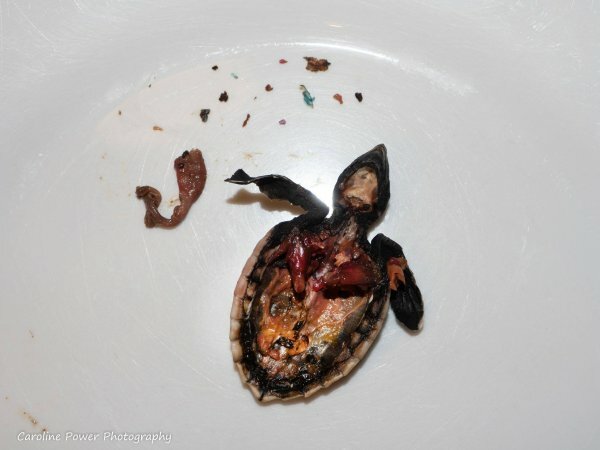 Eight of the thirteen objects found in the turtle’s digestive tract were plastic. Caroline Power is a photographer originally from Louisiana. To her mother’s delight, she moved to a small island in the Caribbean to pursue her life’s passion. 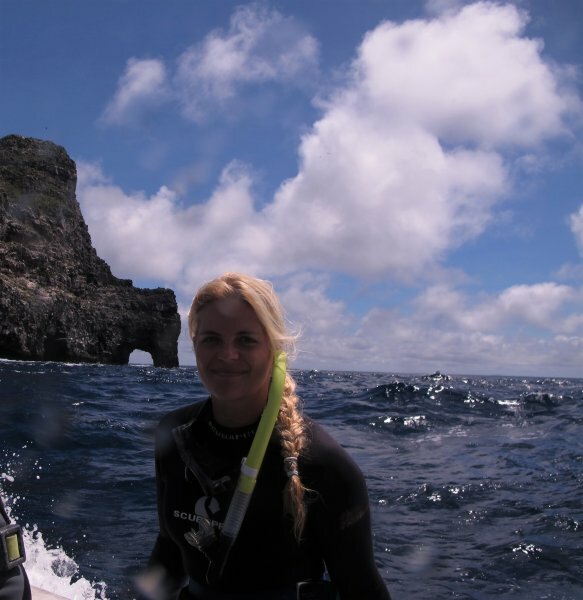 She has always had a love for the ocean (and all things nature) and has been an avid conservationist since childhood. 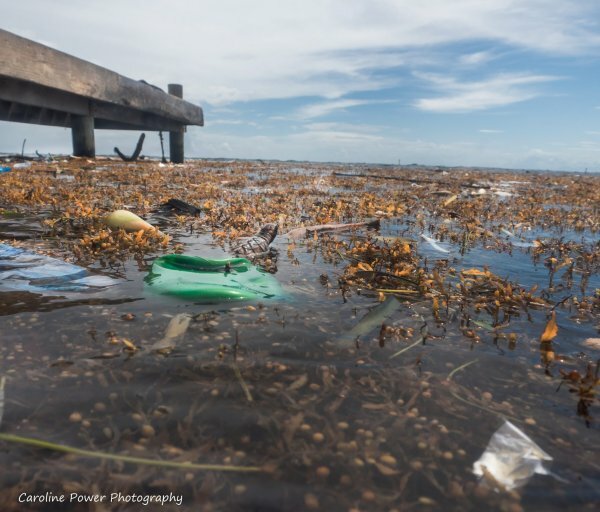 Her main goal is to raise awareness about our nasty, plastic pollution problem, she encourages all our readers to support local non-profits that tackle this issue.
? Drumming Workout Class Makes You A Rockstar And Fit At The Same Time Today is 11/11/11 (2+0+1+8=11) And What Is The Significance Of This Date ?